Between the eastern side of the Sierras, specifically where we were at Mono Lake, and the other side of the Sierra mountains, specifically, Yosemite Valley, are some seriously big mountains. 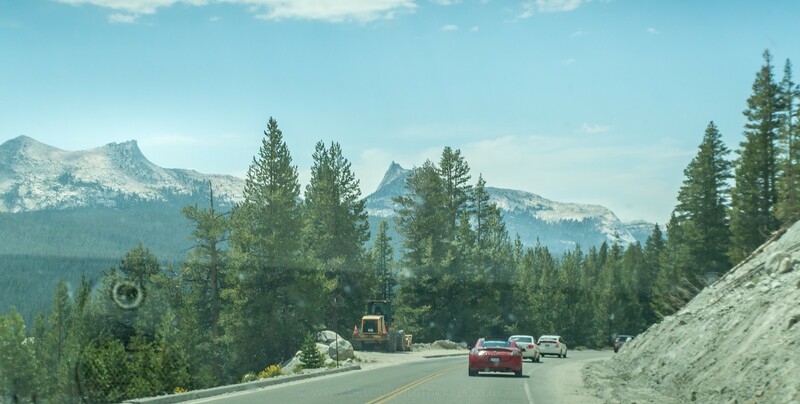 To cross the Sierra mountains, you can either drive further north and cross the mountain range where it’s flatter or take the scenic route, the Tioga Pass. 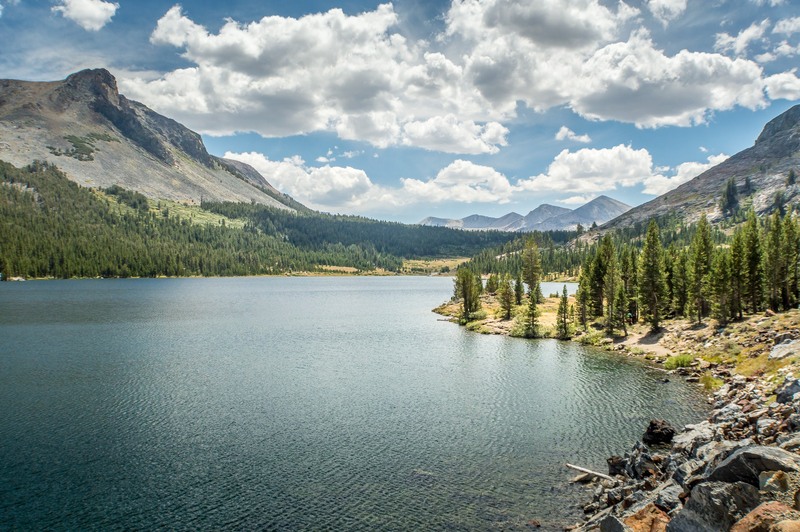 The Tioga Pass runs from Mono Lake to the western side of the Sierra mountains. 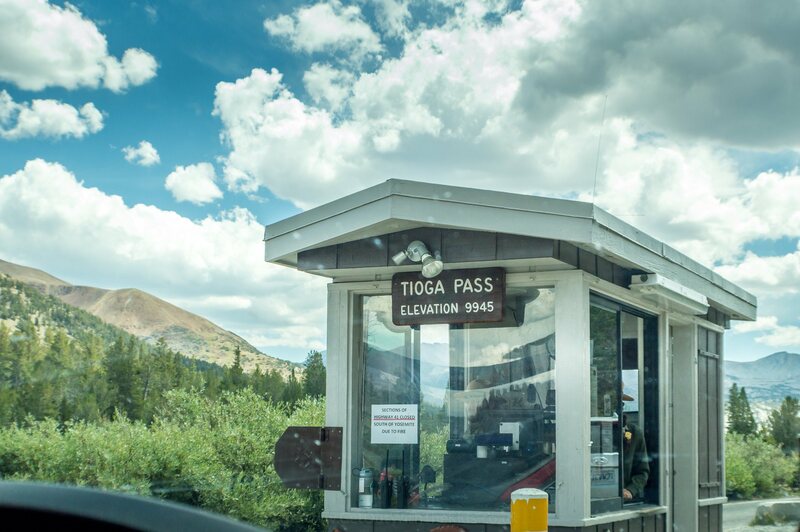 It’s only open in the warmer months when the weather conditions are good enough (click here to read the Tioga Pass Vehicle Restrictions – your family hire car will be fine though). The Tioga Pass winds its way over the Sierra mountains. 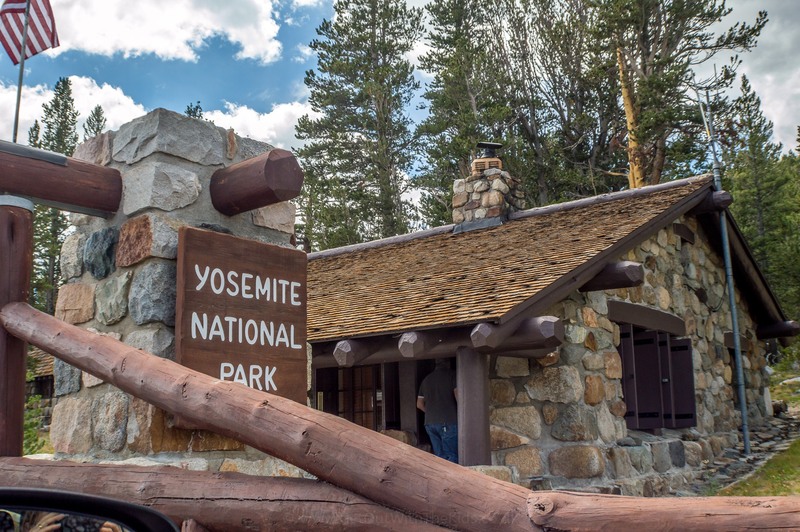 To use the pass, or more correctly, to enter the Yosemite National Park, you will need to pay for a ticket, which you can buy from the Park Rangers at the Mono Lake visitor’s centre. 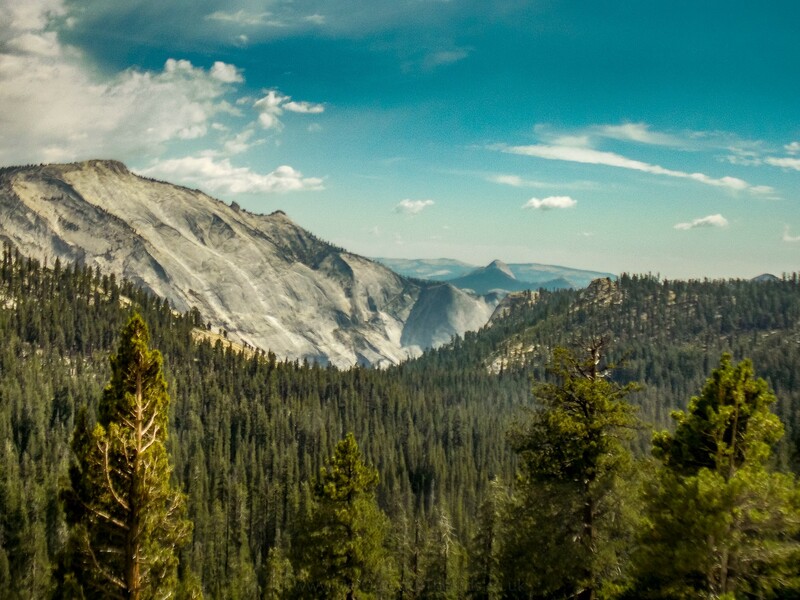 (Click here to see the latest fees for Yosemite National Park). The Park Ranger we spoke too also provided us with info to make the most of our stay in Yosemite over the next few days. 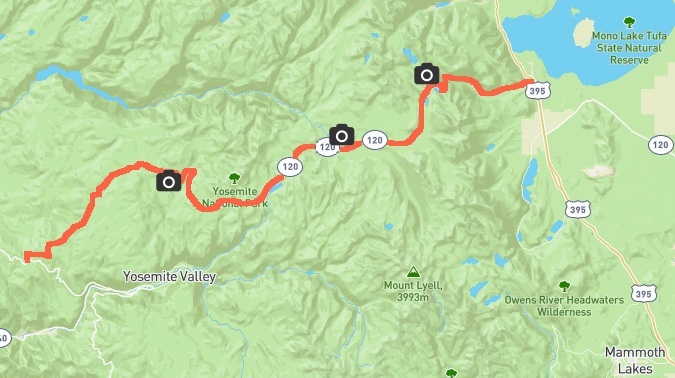 Tioga Pass – elevation 9945ft. 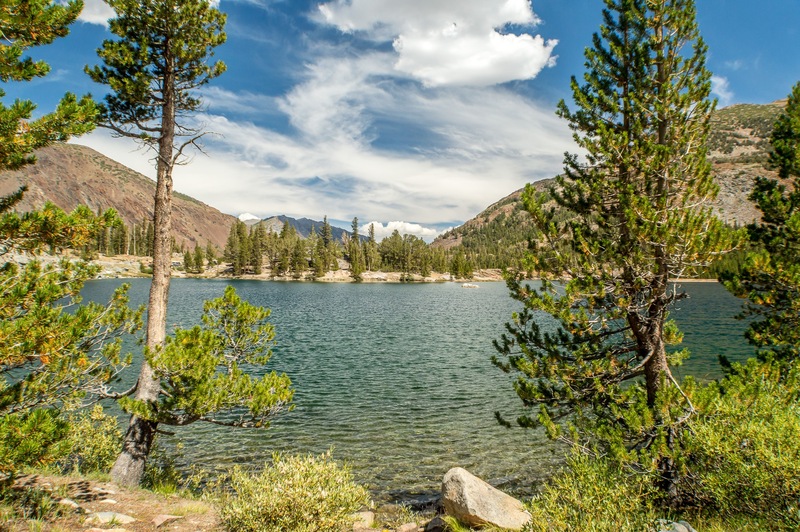 Fortunately, there are stopping points along the Tioga Pass where you can take in the views – and there are many of them. Maybe it’s because I love the outdoors and love the mountains, but to me, this was one of the most beautiful places in the world. One of the first places along the pass that we stopped at was Ellery Lake. This mountaintop lake is staggeringly beautiful, with everywhere you looked, framed naturally by mountains and trees.  What’s more, there’s a campground here. 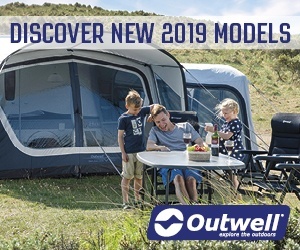 Imagine unzipping your tent in the morning to this view! 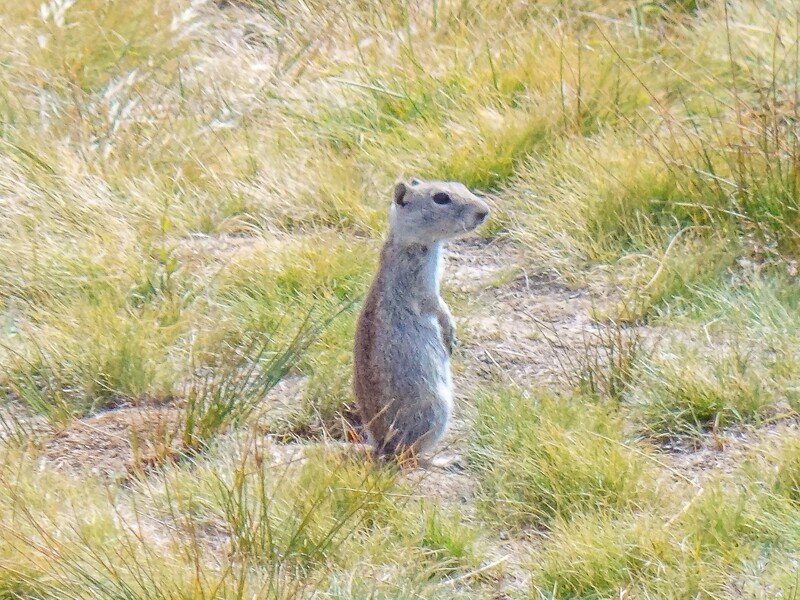 It was at this point we came across another creature we don’t get in the UK: ground squirrels. Not up in the trees: this is a ground squirrel. 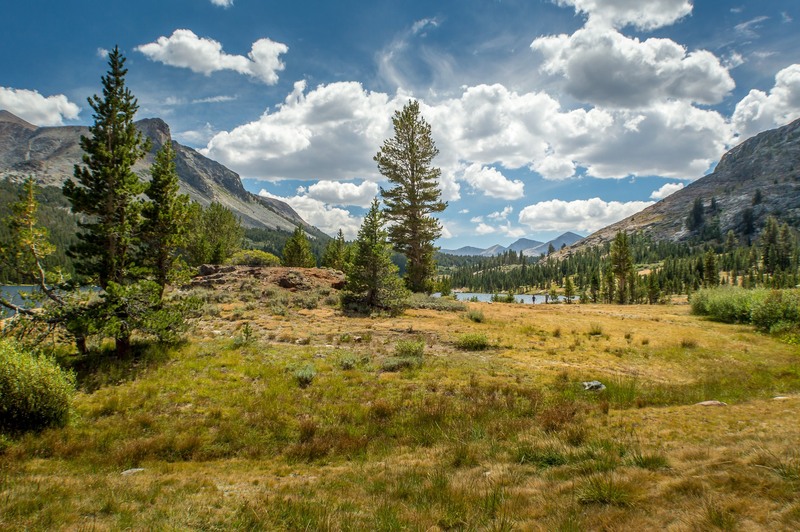 Further along the pass, is another stopping point that’s a must visit: Tuolumne Meadows. As we found, this can be very busy in the summer, but it’s well worth a stop if you can find a parking space. 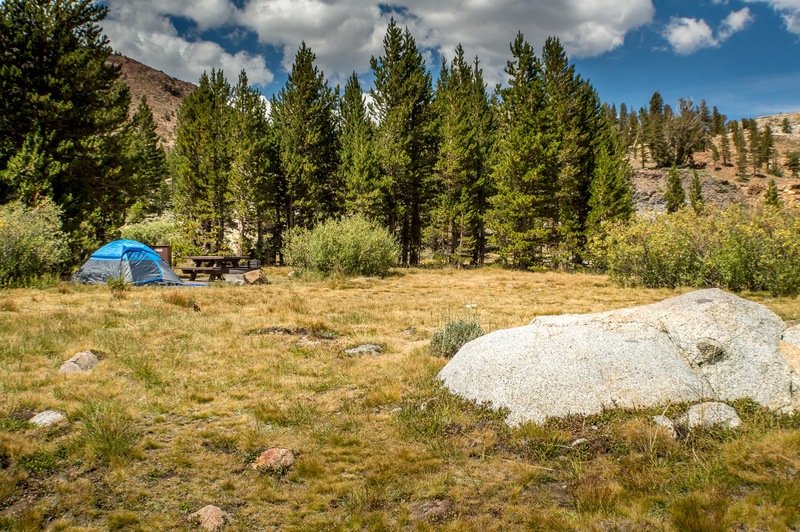 If you have the time to stay, there’s a campground here at Tuolumne Meadows. 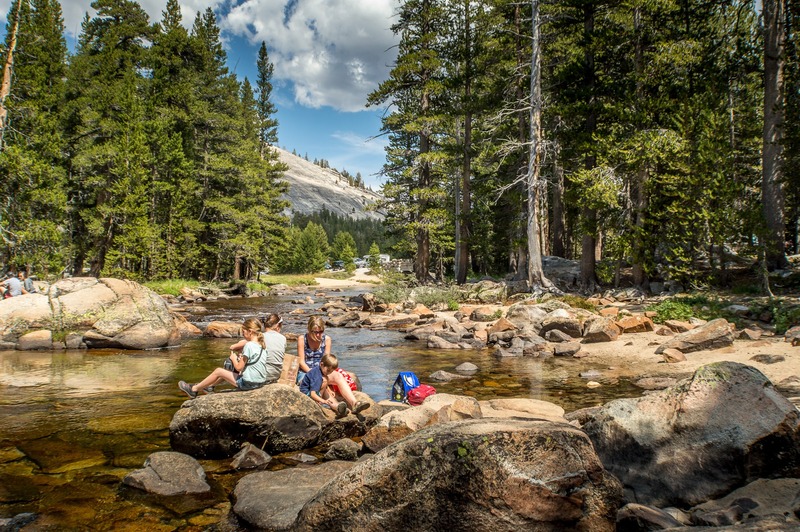 It’s also where you can join the John Muir Trail down to Yosemite Valley. We enjoyed a picnic by the river, taking in the views and the sunshine. It’s also where we got a closer look at these huge lumps of rock that make up the famous ‘domes’ of the region. Lambert Dome. That’s one massive piece of rock! 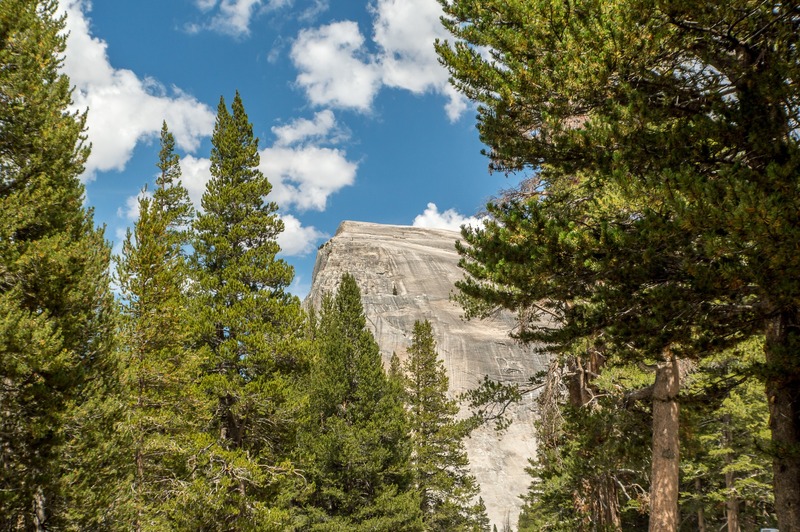 As you continue west on the Tioga Pass, there’s a final stopping point where you can catch a glimpse of the famous Half Dome. Here’s a view of the famous Half Dome that we saw from the Tioga Pass. It’s the one in the middle of the photo. This was one of the most scenic drives of my life and somewhere I hope I get a chance to go back to one day. Glad you enjoyed your trip and the Chipmunk you saw….not a squirrel. Squirrels are much larger and grey in color and have big bushy tails.